Your shed, garage, carport or patio should be an investment, and not a cost, to your home or property. It also has to work for what you want it for. For over 15 years we have had the privilege of helping many people find a building that best suits their needs. It also gives them the most value. We welcome the chance to help you as well. All our designs meet & exceed current building codes & standards for Australian conditions. 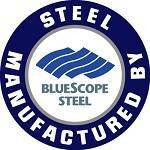 You receive quality Australian made steel, manufactured and processed locally, with locally based warranties. Your steel building will be designed to your exact location and wind conditions. Cyclonic & non-cyclonic designs possible. You will receive every part you need for your shed, carport or patio. Thanks for all your efforts and a great final result. You really listened to what we wanted.....and gave us something better than even I imagined. What’s Included With my Shed or Carport? When you order a shed or carport, every part needed is included. This includes the frame, posts if needed, roof and/or wall sheets, flashings, guttering, downpipes and fasteners. If it’s a shed it may also include roller doors, pa doors, windows, whirlybirds, insulation etc. How Long Does it Take to Make my Carport or Shed? No - We specialise in supply of all shed kits and carport kits to most of Australia. Unfortunately however, we do not get involved in construction or installation. We may be able to put you in touch with experienced trades if needed. They will deal direct with you, to simply and easily complete your project. Yes, every shed and carport supplied includes full site specific engineering for your particular location.